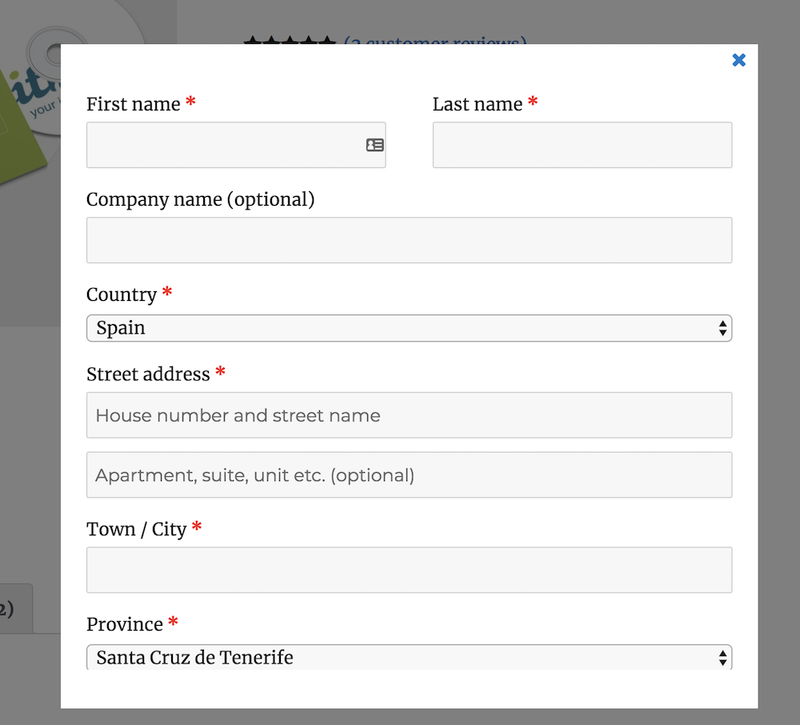 With the premium version of the plugin, the users can enter several shipping addresses, so they can select the one they want to use during the purchase process. 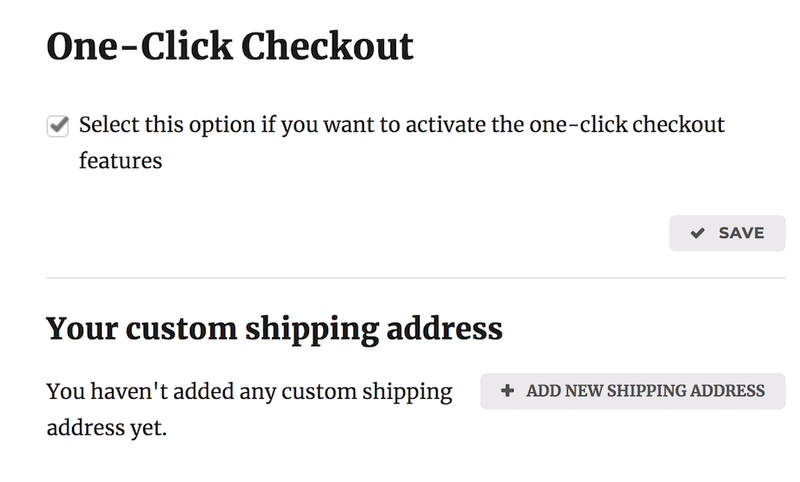 You can enter another shipping address any time from “My Account” page or also if you prefer, during the purchase. Once entered the new shipping address, it will be added to the list of those already available and that can be selected in the product. 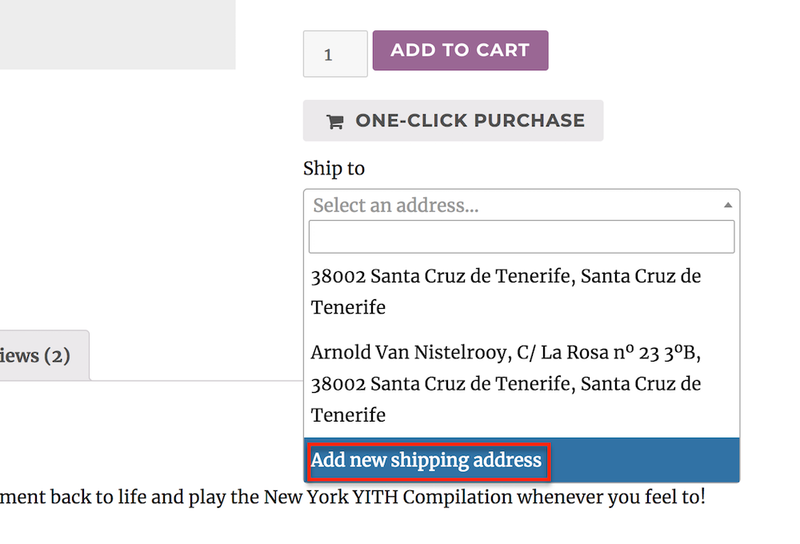 In case users want to use a different shipping address besides those already saved, they will just have to click on “Add new Shipping Address” and enter the new one.